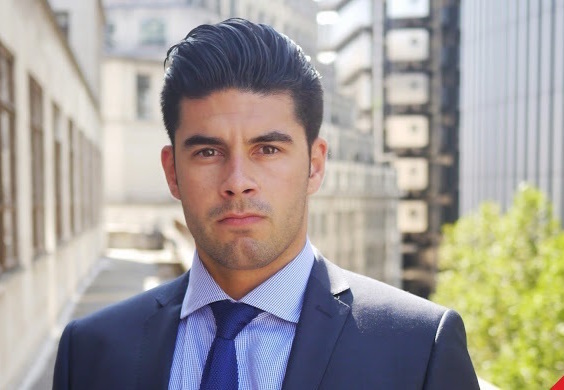 Caner Veli studied Pharmaceutical Science at Greenwich University, Veli went on to be involved in business development and then headhunting within the City of London. After a long period of research and development, Liquiproof was created and currently aims to protect footwear with Liquiproof Footwear Protector. The world’s first Permanent, Invisible, Eco-Friendly, Nonflammable and Odourless footwear protection spray. 1) How did you come up with the idea for Liquiproof? What made me start Liquiproof was identifying the gap in the market for a reliable and effective footwear protector. For too long I heard people complaining about ruining expensive shoes or heels. They also said that the products on the market didn’t last very long and were damaging to the environment. Having a background in Pharmaceutical Science and Sales I quickly knew I had the chance to make a difference. Once I identified the gap I needed some inspiration on actually starting my own business, giving up my well paid job and making it a success. That’s when I turned to Jim Rohn, the biggest inspiration in my life aside my wife. He gave us some very powerful insights. 2) How complex was Liquiproof to make? The technology behind Liquiproof is advanced and complicated but also simple if you know how to manipulate the right molecules. This is where the very clever chemists at the research and development laboratory step in. 3) Where will Liquiproof go in to future? Currently providing protection for footwear and furnishings, we are continuing to develop the range of products that help in everyday life whilst preserving the environment with non-hazardous and non-toxic protection formulas. Our aim is to keep people looking smart and feeling good everyday, while saving them money with the use of this remarkable technology. 4) Founding such an innovative product at such a young age, what advice what you give to other young inspiring entrepreneurs? The best advice I can give a startup entrepreneur is make sure you understand the business you are in or looking to start. For example, if you are looking at setting up a t-shirt ecommerce site. A better way to think of it is that you are a fashion influencer/artist. Think bigger. To many people focus just on the product and not the customer. Think of all the possible needs of your customers – What, Why, When, Where and How? Then give it to them. Also make sure you read up on Jim Rohn. We would like to thank Caner for speaking with us.